This type of fireplace uses your living room as a chimney. 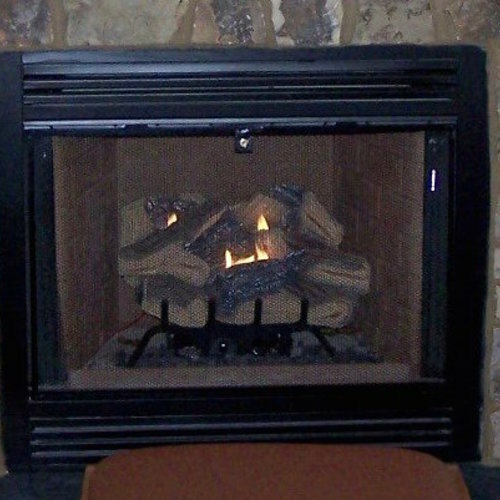 A ventless gas log fireplace may look fine, but combustion products should always be vented to the outside. Image Credit: Energy Vanguard When you look inside a fireplace and see solid metal all the way around, you're looking at a ventless model, as shown here. This was in a brand-new home in Georgia. Not a huge deal, but the ventless gas industry wants you to feel that you’re being liberated of a burden by not having an exhaust vent. I think it’s important for people to know that they’re actually missing something important when they go with a ventless gas appliance. Second, unvented gas fireplaces are a liability. I wouldn’t have one in my house and advise those who do have one either to remove it, replace it, or just not use it. Yes, I know that some people love them and have never had a problem with theirs. Those people have commented in some of my previous articles criticizing these appliances. I also know, however, that plenty of people with unvented gas fireplaces complain of headaches and other problems. Before we get into the fun stuff, let me address the question of how to determine if your gas fireplace is vented or not, just in case. The answer is quite simple. You put your head into the fireplace (remember to turn it off first!) and look up. If there’s a hole, it’s vented. In the photo below, all I saw was a steel plate with no hole. Q&A: What would cause water dripping from a cedar cathedral ceiling? I’ve written about combustion safety in the Energy Vanguard Blog a number of times, and will continue to do so, because it’s such an important part of building science and home performance. The most popular article of all over the past six months has been Bob Vila and the Vent-Free Gas Fireplace — A Sorry State of Affairs, which I wrote over a year ago. Lately it’s been getting between 200 and 400 views every day. Why is this article so popular? I think it’s because a lot of people are looking to understand the issues. More than a few are feeling ill when they use unvented fireplaces, and they want to confirm their suspicions. These things are in a lot of houses now, and people are buying those homes without knowing of the problems. If you read the articles I linked to and the comments, you’ll see that there’s a very good reason that you won’t find people who understand building science recommending these things. Yesterday I got an email from Perry Bumpers. His company, Fireplace Creations by BMC, sells gas fireplaces in Tennessee, and I linked to his website in my Bob Vila article. I didn’t know him then and have never communicated with him until he wrote to me yesterday. I linked to his site because he refuses to sell unvented gas fireplaces and proclaims so publicly on his website. Bumpers wrote that they’ve done about 40 estimates to replace ventless gas fireplaces with direct-vent models so far this season and have replaced about 10. The others would like to do it, he told me, but they don’t have the money for it yet. I know it’s unlikely that these things will go away anytime soon (although we can hope! ), but the more people find out about these problems, the better. As homeowners doing their research find out the truth and turn away from these ventless gas fireplaces, homes become safer. Great Article, I worked on a commercial project where the architect forced us to use a ventless model despite our strenuous objections. Withen days, the laminate mantel above the fireplace peeled and cupped. Customers and workers complained due to the smell. It was miserable. So the owner disconnected the gas lines and put in some cheesy fake wood with horrible looking lamps to simulate natural flames. But it's still better then the ventless fireplace. One question not discussed is combustion air. Is it worthwhile to provide seperate combustion air vents to gas fireplaces? especially in tight homes? "in a gas appliance there are very few by-products of combustion entering the atmosphere. So, environmentally, I do think gas appliances are healthier for the environment than a polluting type wood-burning appliance." "Depending on how well insulated your house is, Ruppa says a 40,000 BTU fireplace would be more than enough to heat a large living or family room." Living room? That's enough to heat a 2500' code-min house in most of New England! It is stark raving lunacy to burn anything more than a candle without venting, especially as homes are made ever tighter. In THEORY, the PERFECT combustion of PURE natural gas (CH4) or PURE propane (C3H8, if memory serves) would yield naught other than CO2 and water vapor, both harmless in reasonable concentrations. In practice, neither fuel is pure nor is combustion perfect. First there is the odorant, mercaptan, included with nearly all NG and Propane (the "smell" of gas). Then there is whatever dust and whatnot is contained in the combustion air. Then there is whatever dirt, paint, oil, etc on the surfaces of the appliance. Then there is whatever, small, but non-zero, proportion of impurities supplied with the NG or Propane. Then there is the inescapable fact that no combustion process is perfect or complete, giving rise to carbon monoxide. Then there is the presence of all the chemicals and fumes associated with coatings, textiles, cooking, cleaning, bathing in a typical home...heating them to 2000*F and re-releasing them back into the indoor environment seems fraught with unknown results and risk. I would never agree to install an unvented combustion appliance. Assuming safety matters are handled, what about efficiency? I was informed by the gas company here in Utah that dampers were required by code to be wired open (removed?) when installing a gas log in an existing masonry fireplace and chimney set up. If it is true that glass doors cannot be airtight for safety reasons (overheating the firebox), then the homeowner will be experiencing a constant energy loss. Result, higher fuel bill in the winter, higher electric bill during cooling season. There are good technical discussions and references to applicable codes at http://rumford.com/gasflue.html (gas log issues), and at http://www.rumford.com/tech14.html (glass door issues). Maybe a solar powered hydrogen production system is waiting to be invented. Combustion product: Water. Tighter glass doors over a fireplace opening do not contribute to overheating of the firebox- leaky glass doors for fireplaces are designed to cool the glass so that crummier glass can be used- the firebox can take the heat, but cheap soda-glass can't. Fireplaces in general are atrociously inefficient at getting heat into the room, with or without glass. Without the glass the convection/infiltration losses from the necessarily high excess of combustion air reduces the net wood burning efficiency to ~7%. With better damper controls than a simple open/closed type and air-tight glass front with draft controls can hit roughly double that. Yes the directly radiated heat into the room is dramatically lower with (even leaky) glass in place, but it reduces the dilution air infiltration drives by more than 90% too. Gas log kit retrofit masonry fireplaces can have sorta-reasonably high combustion efficiency (better than 50%, which is crap, but a huge improvement over open hearth) but it doesn't fix the inherent functional flaws when it comes to an as-used actual heating efficiency. It's primarily decorative, not a heat source. By contrast, gas or wood fired air tight inserts designed for primarily convective heat transfer in to the conditioned space can do a lot better, if still not as efficient as free-standing wood/gas stoves (with or without viewing windows), and are true heating appliances, not merely decorative. Using hydrogen as a fuel even if burning perfectly & completely, an unvented solution is still problematic. Excess moisture is by-itself an indoor air pollutant, affecting human health when the moisture content of the air exceeds 50% RH @ 75F (at which point molds begin to bloom, and dust mites can reproduce at high rates) and even much drier 40% RH @ 70F conditioned space air can be harmful to wood-framed/wood-sheathed buildings in cold climates, depending on the wall and roof stack-up details. Ventless FP - Not the Answer...DangIt!!! We live in a fifty-year-old home with two corner fireplaces, with rounded contours. While I would never consider a ventless heater, I haven't found alternatives that seem reasonably efficient and aesthetically compatible with the house. As a result, we never use the fireplaces, and wonder what we should do with them. I would appreciate links and suggestions for energy-efficient alternatives. By the way, I just got word that my CO Experts 2014 low-level carbon monoxide detector is ready to ship. They were backordered, perhaps as a result of your recent article. Your information convinced me to order one. I look forward to seeing just what I have been breathing. That is, seeing numbers to quantify the CO levels. We put in a ventless fireplace in our finished basement a couple of years ago. Have had it on only three times, mostly just to test it. Because of the fumes causing watery eyes and headaches we haven't used it. Just wondered if there was a way to modify it to a vented unit. Any thoughts would be appriceated. 1. Remove the ventless fireplace. Throw it away. 2. Install a flue that extends to the outdoors. 3. Install a new vented fireplace. I am 75 years old and was raised in Houston in an air leaky house with ventless NG heaters as our only heat source. We had gas jets in the walls along with ungrounded AC plugs. Just slip the hose from a heater on the nozzle and turn the valve a quarter turn for gas. At 40F in the 1940s, Houston was the coldest place in the world because you could not get warm. After playing outside in 95% humidity we kids came in to stand in front of the open gas heater and shiver for 20 minutes as the moisture on our bodies was being supplemented with the water vapor from the gas. How did we survive? Your advice on gas heaters is well received here and I am sure your facts are accurate. However there must be something missing or the hundreds of lawsuits against the manufacturers and the big box stores that sell the gas logs would have shut them down. As a retired engineer that has done some expert witness work the past two decades I would say that safety improvements made around 2000 or shortly thereafter, has made the ventless gas logs safe for anyone with a little common sense. I suggest that more suffering will be experienced in the Texas Hill Country from Ash Juniper pollen (locally called Cedar) than from fumes from burning natural gas ventfree in a properly ventilated home. Thousands of people must be using the ventfree logs nationwide without incident or we would hear about it in this and other blogs and the lawyers would be hard at work. We have an all electric house and we are presently installing an emergency generator fueled by propane. A 1000 gallon propane tank will supply it. Hoping that the emergency never comes, we will feed propane to a ventless log set in our fireplace to get some use from the propane storage. We will shut the flue so all the heat will stay in the house and supplement the two heat pump AC units that don’t work below 34F. The AC fans can be set to run continuously and independently so we can circulate the fireplace air to the entire house which we hope will be sufficient to keep the auxiliary electric heating elements from coming on. My wife is allergic to everything in the atmosphere so she will be our fireplace Canary. Redundant gas sensors should keep us safe. It will be next fall before we can check out the heating as the log sales are seasonal and won’t be available in stores here until next September. We sell, install, and service vented & ventless gas fireplaces. We advise our customers to not choose a ventless gas fireplace if they have respiratory issues. We suggest that they only operate the gas fireplace with the flue closed during power outages when the furnace does not work. Using a ventless fireplace occasionally should not aggravate any respiratory issues that you may have. Just because the term ‘ventless’ is used, it does not mean a vent is not needed or it is ‘vent-free’. Many manufacturers have led people to believe the gas fireplace they have purchased does not need a vent. So there won’t be any problems or side effects from not having one. Definitely not true. 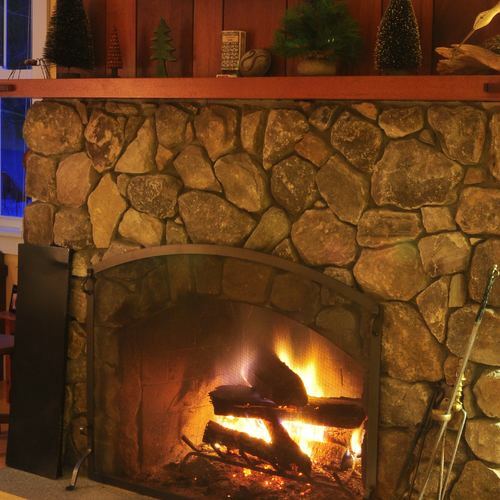 Research the topic before you purchase a ventless or vent-free fireplace. I keep seeing these comments on how ventless gas fireplaces are bad - with little to no real scientific evidence to back up the claims. If a ventless gas fireplace is bad and dangerous and should never be allowed in a house - why is my gas stove perfectly acceptable and safe (and used daily with no ill effects)? Thanksgiving, that ventless gas oven in my kitchen will be burning away most of the day, as will the stove top burners, with output way above most ventless gas fireplaces. I don't see how a gas fireplace that burns less gas than my stove does when it's on, should be banned, and gas stove should not. Both are Federally regulated and approved for indoor use..
Q. "If a ventless gas fireplace is bad and dangerous and should never be allowed in a house - why is my gas stove perfectly acceptable and safe (and used daily with no ill effects)?" A. In fact, it is illegal to install a gas range in most jurisdictions without installing a range hood equipped with an exhaust fan vented to the outdoors. The purpose of this exhaust fan is to vent the dangerous byproducts of combustion. Researchers have been warning homeowners of the health dangers associated with poorly vented gas cook stoves. To learn more, see The Hazards of Cooking With Gas. You say MOST jurisdictions require a vented range hood for a gas stove? How about providing a source for that bold statement? I live in Maine and there is no such requirement. As far as the vent-free fireplace issue, I have been using a propane one for my main heat source for 3 years now without issue other than the windows fog up on rare occasion when the temp dips to the single digits. My 20 yr old oil furnace that crapped the bed put out much more pollutants than this thing EVER has. Estimate to replace oil furnace with propane system was around 7k. We don't have a big house, about 1400 sq ft. This 35k fireplace keeps us plenty warm. I am with the engineer above who pretty much trashes the ideas in this article. Just one more lib agenda crammed down Americans throats it seems like to me. You are correct that not all codes require vented range hoods, but many do. Rural New England generally has no residential code enforcement. According to the 2009 IRC, section M1503.1, "Range hoods shall discharge to the outdoors through a single-wall duct." There are exceptions, however. So if you choose to have a gas range and a gas space heater without any venting, you are free to do so. There is no need for you to follow the advice in this article, since (as you put it) it represents "just one more lib agenda crammed down Americans throats." It seems to me that as an "advisor" for this site that the words you choose should be well thought out before posting. Most does not equate to many. Gas stoves have been around since the late 1800's. These scare tactics of deathly illnesses and pollutants should we dare cook with them now without ventilation is asinine. Less than 5% of homes in America were built after 1970 source http://www.oldhouseweb.com/how-to-advice/how-old-are-americas-houses.shtml I would venture to say that a very, very small portion of those are super efficient homes where air flow is so restricted that it has to be added into the design to achieve. With those homes, there may be a concern. For the other say 99% of homes, there is more than enough air flow to disburse any toxins. I have a family and none of us have complained of dizziness, headaches or other ailments due to use of our gas range or fireplace. In fact we had a house full of family for Thanksgiving with all 4 burners, the stove and the fireplace running and the only complaint that was made was we ran out of gravy. Perhaps as an "advisor" you have sources to actual statistics of number of people and their illnesses, deaths etc.. due to exposure from gas stove and/or vent free fireplace exposure. Not just anecdotal, but actual cases documented and verified. 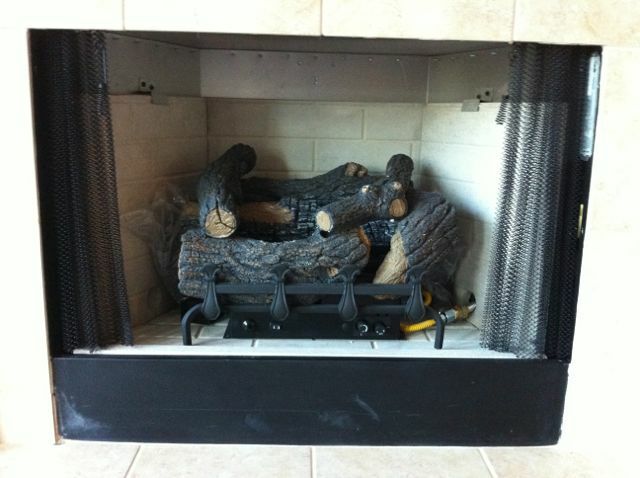 Are you a salesperson for vented gas logs? So your saying ventless gas logs cause soot also? 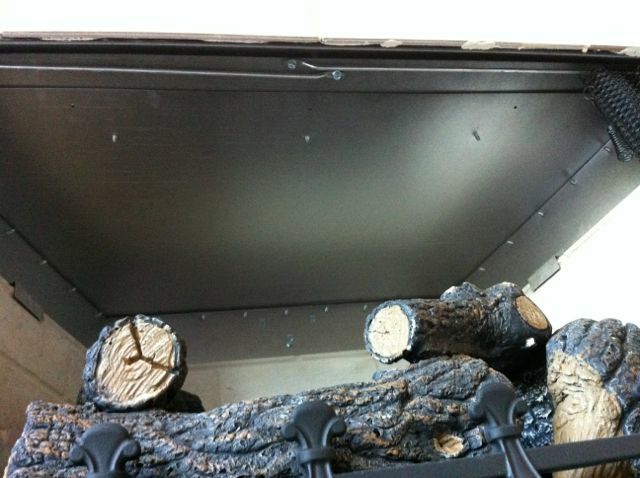 Do you know the maximum btu's for ventless gas logs? Do you know what the ODS is on ventless gas logs and it's purpose? I think you are a complete idiot myself. 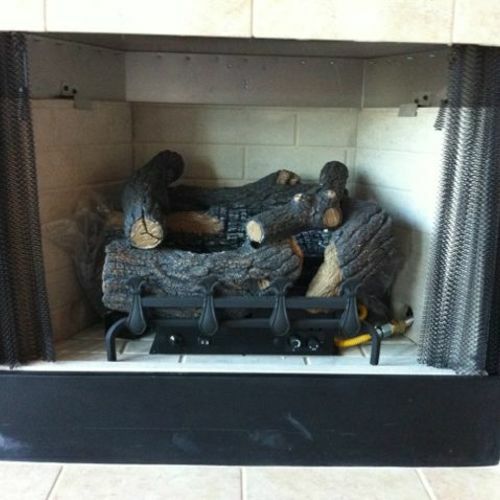 Maybe you should study the directions when installing ventless gas logs and what to do when using them. I work for a natural gas company and we are highly trained on natural gas burning equipment. Do you even know how they operate? 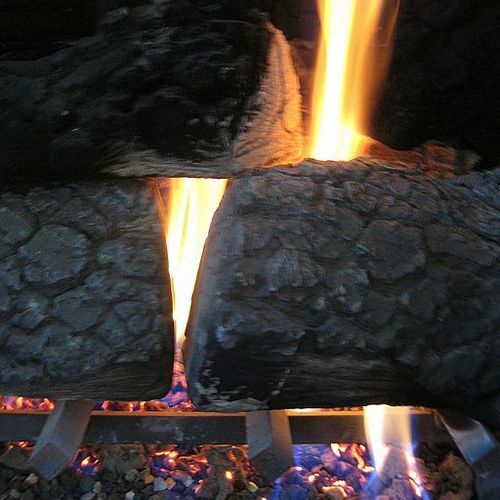 Ventless gas logs burn very clean which is called complete combustion meaning air to natural gas ratio is perfect meaning little to no CO unlike vented gas logs which burn what is called incomplete combustion meaning high levels of CO and also burn as much gas as the furnace in a home. Maybe you should do more research before writing articles that are nothing but complete lies. Also study the codes book. I can see why using a vented fireplace is theoretically preferable. I can understand that the world of natural gas is imperfect and sometimes you get carbon monoxide, soot, burning dust, smell, and moisture. I grew up in a tiny home heated entirely by an old kerosene convection heater that almost definitely put out more junk than modern natural gas fireplaces. I guess what I really came here to say is: crack a window, you'll be fine. Recently during an extended period when temps dropped way below zero our power was out for a few days. We grouped all our candles together. Some were on the kitchen table, others on the living room table and a few in each bathroom to keep pipes from freezing. We shut the bedroom doors and stayed in the main living quarters. When the power came back on, our home was a toasty 70 degrees and we normally keep it at 65. Do you think we were jeopardizing our health? We have gas and could have turned on the oven or boiled water on the stove to even make it warmer but could not vent the gas fumes. Any thoughts? 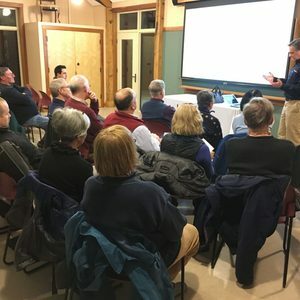 First, I find it ironic that a so-called "green" building website is advocating dumping incomplete natural gas combustion by-products into the atmosphere over the much more environmentally-friendly and energy-efficient 99.9% combustion that a vent-free system provides. Much like a Wikipedia article, this one needs a great big  stamp for all of the evidence that you fail to cite that vent-free fireplaces are dangerous or even undesirable. 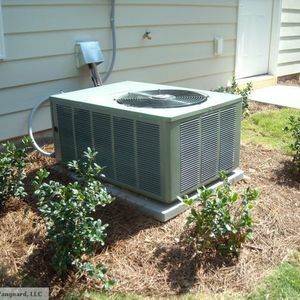 This vapor is highly beneficial because most homes have uncomfortably low humidity levels in winter (~20% or less). It is doubtful that a properly sized vent-free fireplace will produce enough moisture to elevate humidity levels anywhere near the 70% that starts to cause humidity issues. Running a 25K BTU fireplace for eight hours will only add 2 gallons of water to the air, which is about on par with a room-sized humidifier. Right, so don't use fans or candles inside (or near) your fireplace. 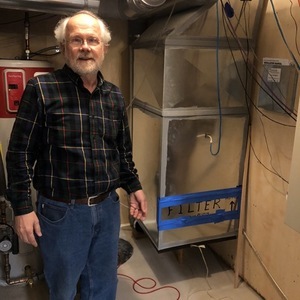 It is unlikely a draft would be so strong as to interfere with the combustion process inside the firebox, but the installer tests for proper combustion during the install. This is not a problem with unvented gas fireplaces -- it is a problem with users of unvented gas fireplaces. Many things are dangerous if not operated or maintained properly -- including vented gas fireplaces or wood-burning fireplaces. 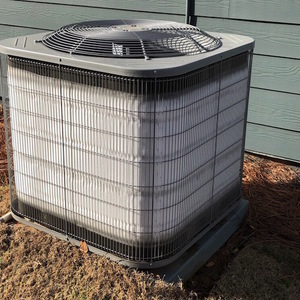 All that aside, vent-free units have several fail-safe features that overcome owner negligence. "you won't find people who understand building science recommending these things." No, someone with a competent understanding of building science should be able to articulate in non-technical language the reasoning and evidence that supports their opinion. You don't. Instead you throw up some anecdotal claptrap. I own two *vented* gas fireplaces and an unvented gas oven range (gasp! ), but I felt the need to comment because, as someone with scientific training, I detest misinformation and unfounded alarmism being spread around via the internet, particularly by someone who claims scientific training and should know better. Does a Fireplace Belong in a Green Home?